Discussion on my Baby Ringmaster fever thread regarding weight prompted me to weigh several of my models. Most notably was my Scientific Cyclone at 6.26 oz. Finished with a couple of coats of Minwax sanding sealer and probably two coats of Top Fight's Lustrekote, I was wondering how it compared with your finished models weights of like construction but different finishes. Here are some examples. 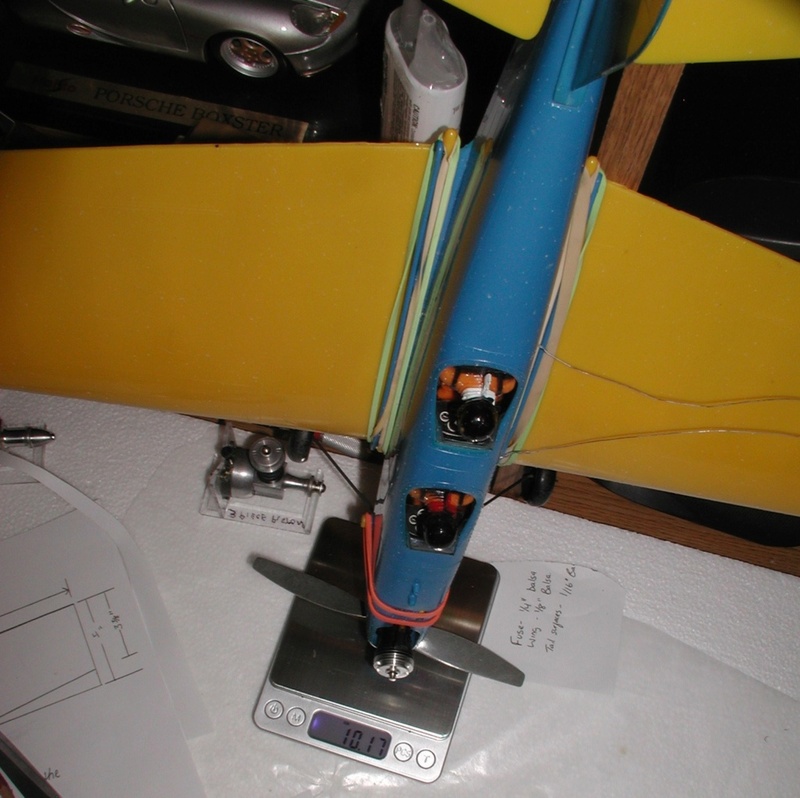 Of note are the R/C foam electrics. 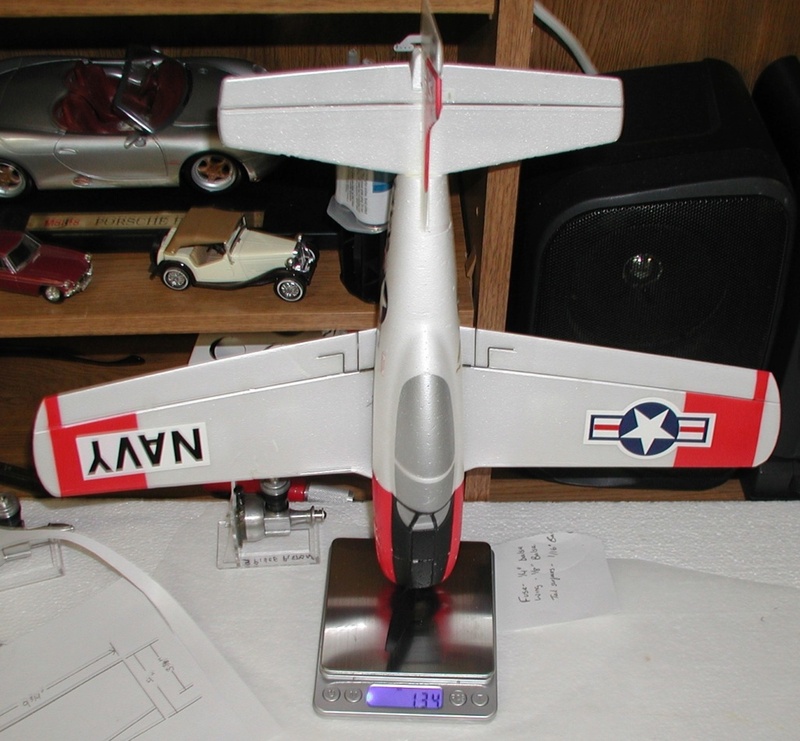 The light weight T-28 the winner at 1.34 oz. Mark and I were flying it around the field last weekend. An amazing little plane and at low rates very easy to fly. Hemmed in by trees at low levels it was restricted, but above the trees 100/200 feet it is a performer. Enya .19 powered olive drab monokote covered P-40 is 17.08 oz. Probably my best all time flyer. 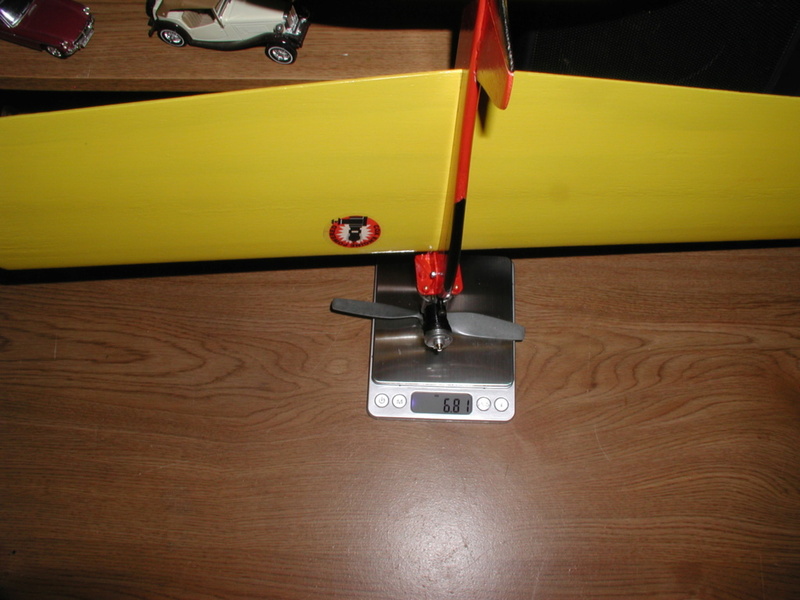 Foam electric 24" Me-109 is 8.91 oz. Both electrics are all up 4 channel flyers. The weights may be off a bit due to being leaned against the desk. Most of my planes for .049s range between 4.5 and about 7 ounces. 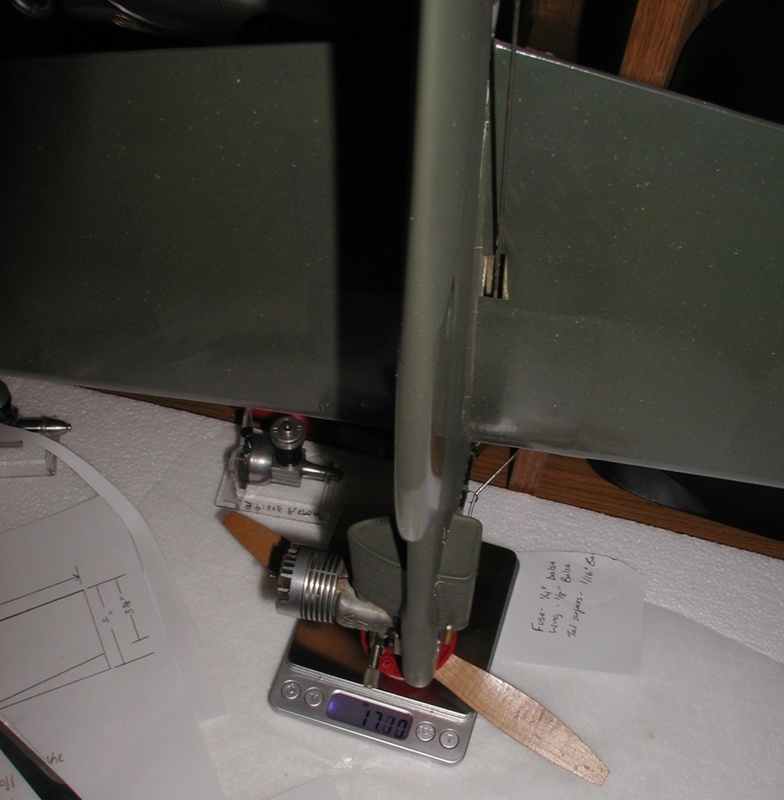 For my Ringmasters, my sheet wing Beginner’s RM (painted wing and fuselage) weighed 5.1 ounces, my Beginner’s RM with SIG airfoil shaped sheet balsa wing (Monokote covered wing and fuselage) was 5.7 ounces, and my Baby Ringmaster (Monokote covered wing and painted fuselage) was 6.1 ounces. 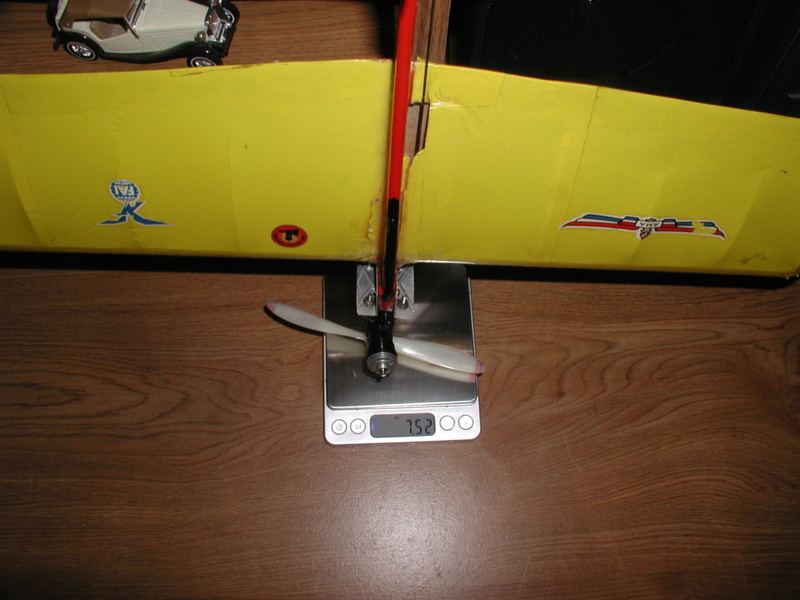 I'd have to go through my old threads to see what other planes are, but I think my heaviest was a little over 9 ounces on a plane using the old Cox folded foam sheet wings. 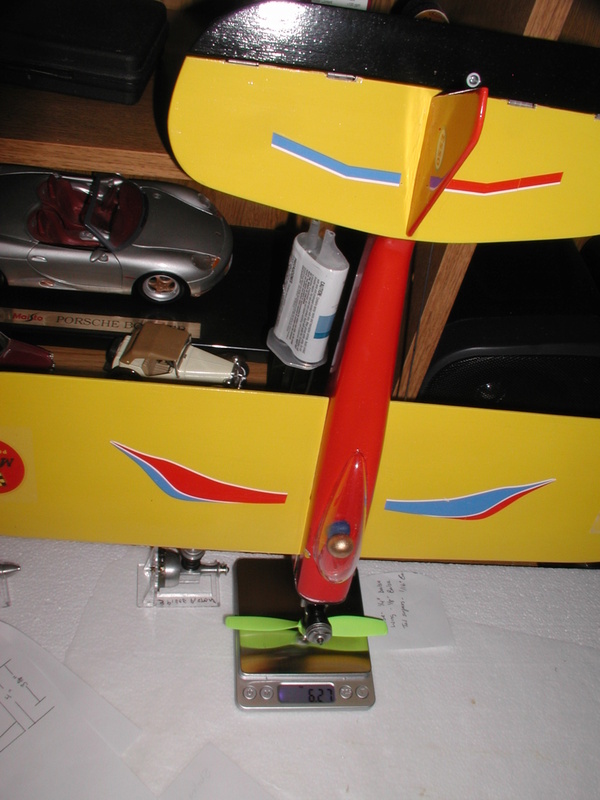 batjac wrote: Most of my planes for .049s range between 4.5 and about 7 ounces. 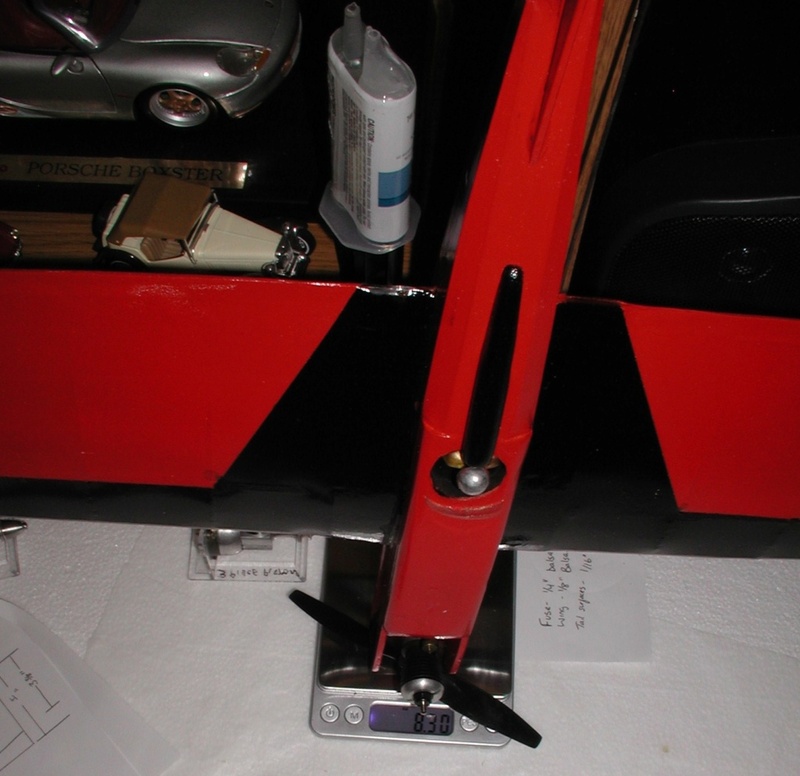 For my Ringmasters, my sheet wing Beginner’s RM (painted wing and fuselage) weighed 5.1 ounces, my Beginner’s RM with SIG airfoil shaped sheet balsa wing (Monokote covered wing and fuselage) was 5.7 ounces, and my Baby Ringmaster (Monokote covered wing and painted fuselage) was 6.1 ounces. Thanks Mark, Gives me a better idea as what I should shoot for regarding weights. I thought my heavily finished (sanding sealer/Lustrekote) Cyclone "hollow-log" would be way out of line, but at 6.26 oz, guess it's not too bad. 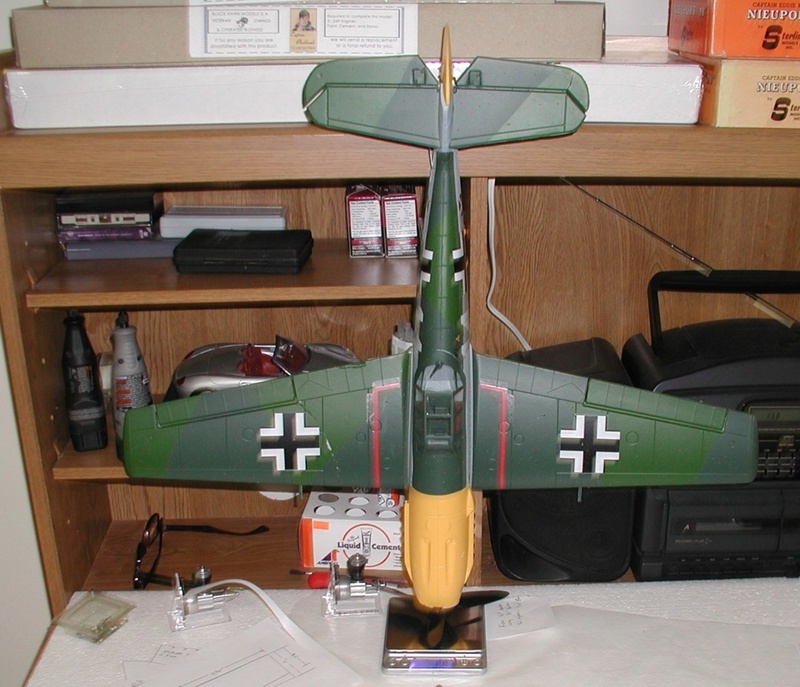 I always have been just a hobby back yard flyer giving little regard to the weights of my models. Critical if your into more serious flying. I didn't weigh my present Baby Ring, fearful as it's probably about 1/4 repair epoxy. Picking up my two Baby Rings one in each hand, I noticed the older model with the built up wing was noticeably heavier so I weighed them. 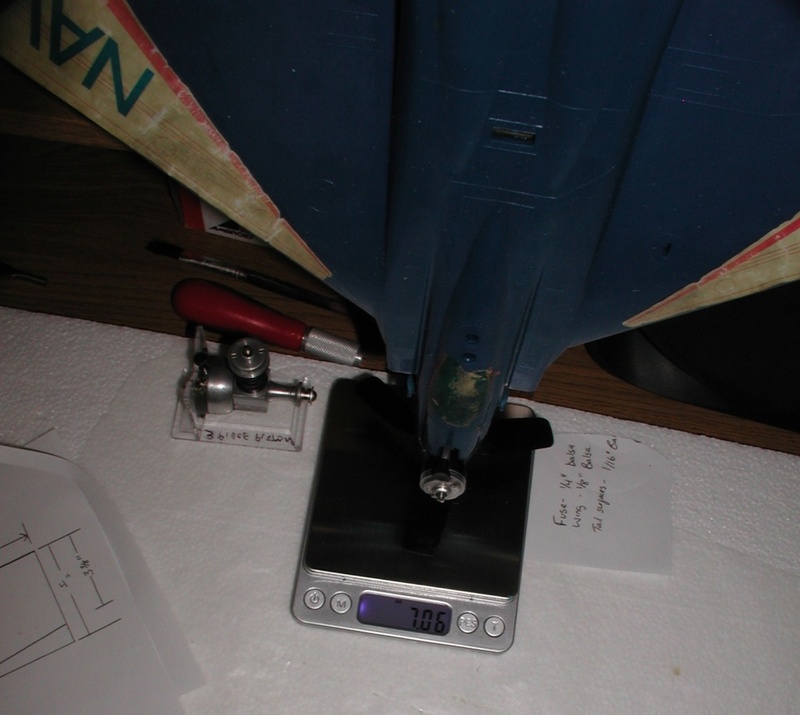 Part of the increase is due to the Black Widow vs. the Baby Bee (and epoxy repairs). But still, almost an ounce difference. 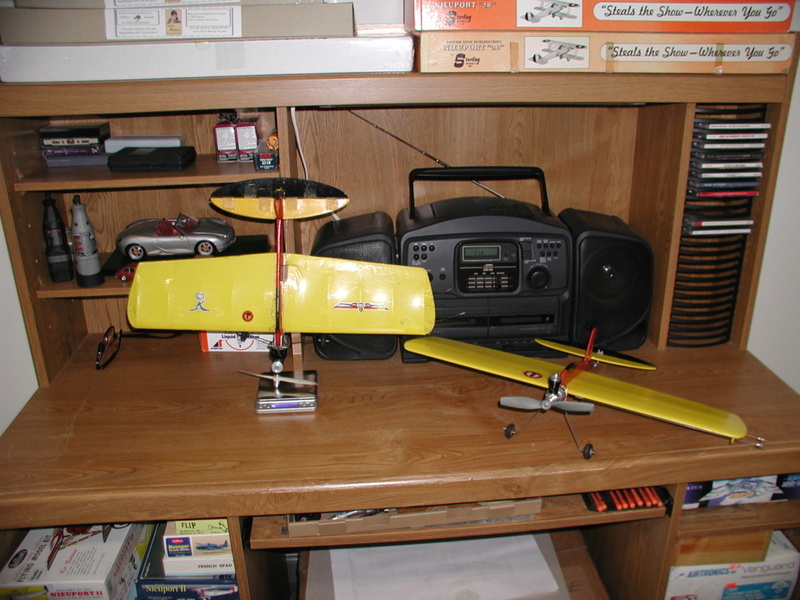 Eager to fly them both. Even with the lower power I think the new model will really scoot partly due to less drag. Just weighted my BR with BB and some repairs after the burn session its 5.3 oz Still havent got it in the air after being so mad i could have stomped it !! old pic . getback wrote: Just weighted my BR with BB and some repairs after the burn session its 5.3 oz Still havent got it in the air after being so mad i could have stomped it !! That's really light Eric. How did you do it? 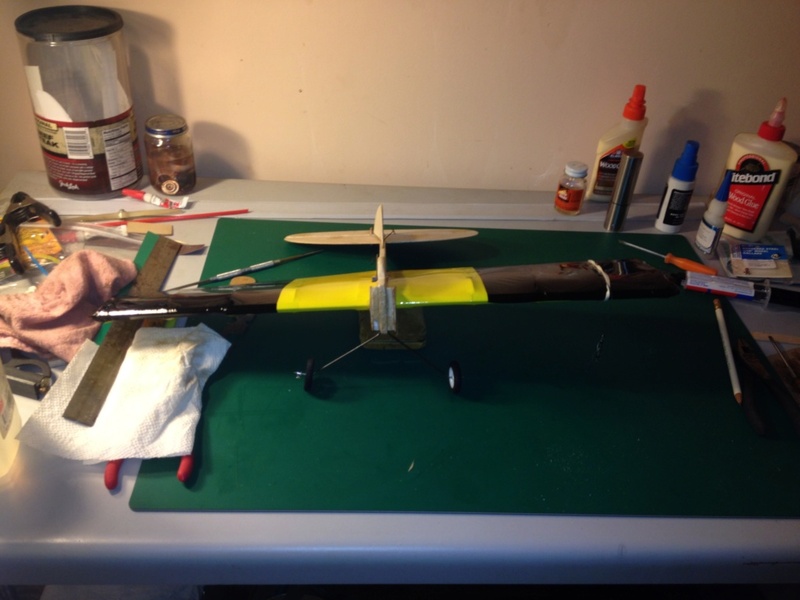 Monokote, lightly finished balsa?